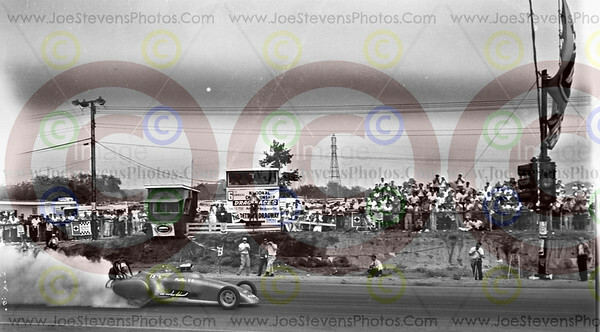 Photo's from the "Age of Ingenuity", the pioneering days of drag racing, man-made creations, whatever it took to go faster. 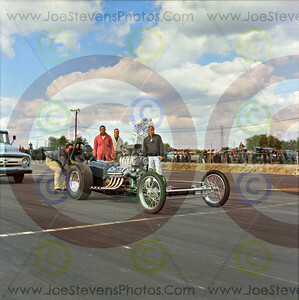 From front engine dragster to Funny Cars to the very 1st Mustangs, Pony cars, Mopars, you name it. 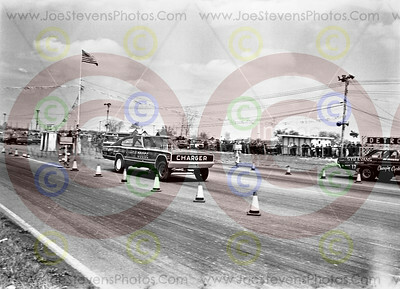 This is where it all started in 1959 at Detroit Dragway. 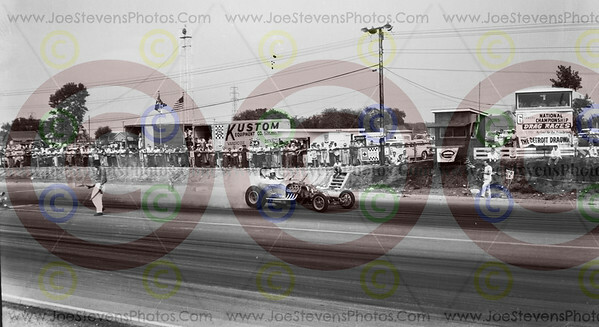 Mickey Thompson's "Assault One" Pontiac V-8 built as a Bonneville racer with an innovative body, shown here during a burnout at the NHRA 6th Annual National Championship Races, September 1-5, 1960..
Jack Moss was driving this twin 283 Chevy gas injected engine Dragster named "Too Much" on this day in 1960 when Sports Photographer, Joe Stevens captured this great image of him at Detroit Dragway in the early days of the track. 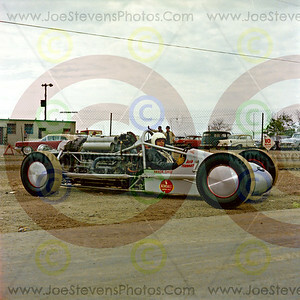 Twin 283 Chevy gas injected engined Dragster named "Too Much" A/D division 4 was owned, built & driven by Jack Moss from Amarillo, Texas. 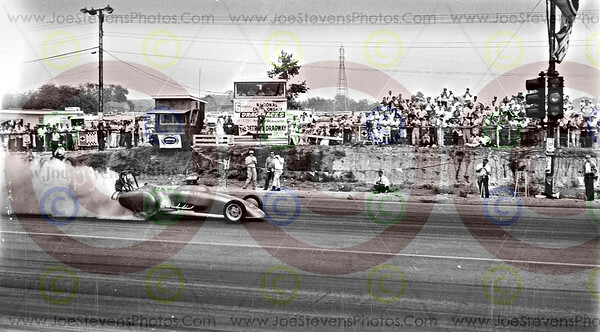 This photo was taken by Joe Stevens in 1960 at the Detroit Dragway National's. 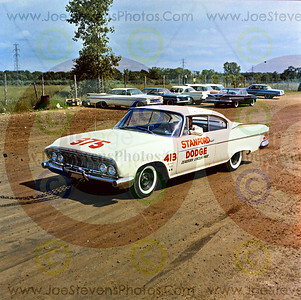 Kirk's Carburetor Service raced this car #454 C/A. Also written on the side of this car says 500 H.P. 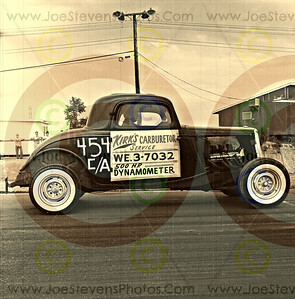 Dynamometer. 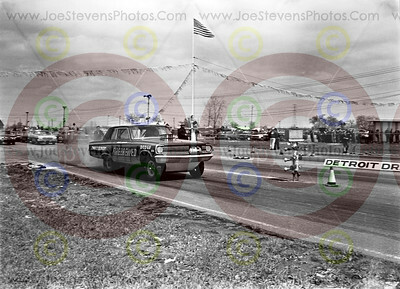 This photo was taken in 1960 at the National Hot Rod Association's 6th Annual National Championship Drag Races at Detroit Dragway Sept. 1-5 1960 .And if you know anything about photo negatives, you're probably used to seeing 35mm negs, that is if you're still using a film camera, but the neg for this photo was taken with a hassleblad and the size of this negative is 3"x5". 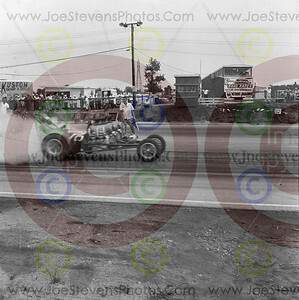 I only found a handful of negs that big but one thing is for sure, this & the other 3x5 negs make for a huge poster size..I would go as far as saying these could be made into wall murals. I think the largest size made to order on this site is a 36"x36". 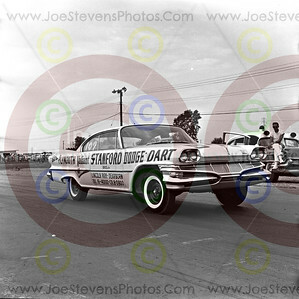 Plymouth Valiant Stanford Brothers Dodge Dart at Detroit Dragway 1960 with dealerships at the time in Lincoln Park & Dearborn, MI. 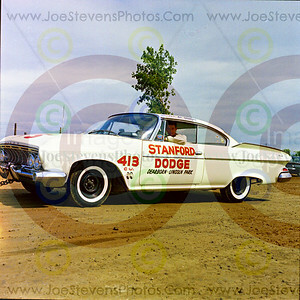 Stanford Dodge Dearborn Lincoln Park Dealership car. This is the owner in the car as it's being pulled. 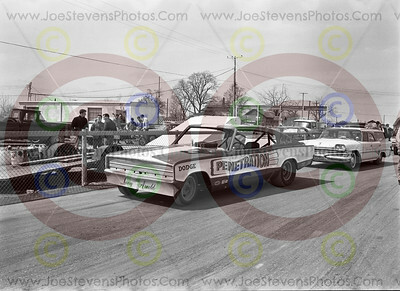 I have 2 more photo's of this car too. 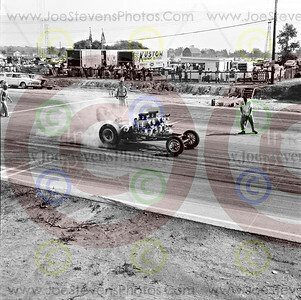 A front ended dragster being held onto at the line in this beautiful sunny picture over 50 years ago. 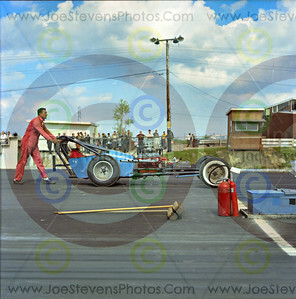 Some of these old time dragsters had to be push started or held so they didn't jump off, either way there was always somebody holding onto the back of them. 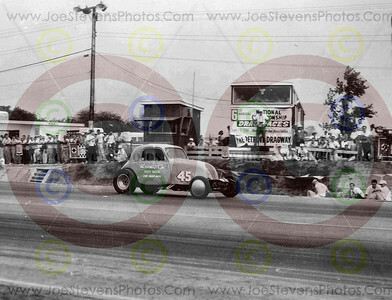 I wish I knew who this driver was. I'm sure he was very well known. If you know somebody that would be familiar with this era, could you please ask them to look & write it down below in the comment section. I would be eternally grateful.& even give you a free photo of your choice. 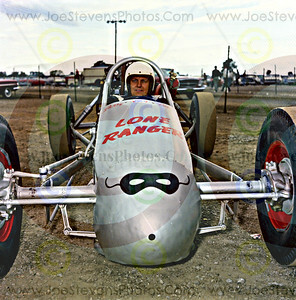 Bob Tennant, of Akron, Ohio, fielded the "Lone Ranger," a 2,100-pound, four-wheel-drive dragster powered by a 773-cubic-inch aircraft engine. 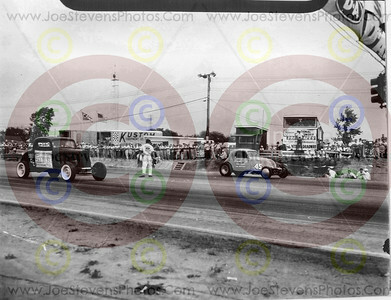 Tennant had raced in the 1958 Ok. National's that was aptly named for the times "Ingenuity in Action". 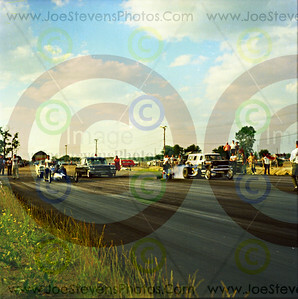 Here Tennant is at the Detroit Dragway during the 6th Annual Championship Drag Races. Southern Style Dodge vs the Charging Cyclone. 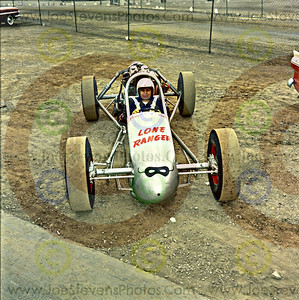 Wayne Gapp of Gapp and Roush fame pit side in the AWB Comet.